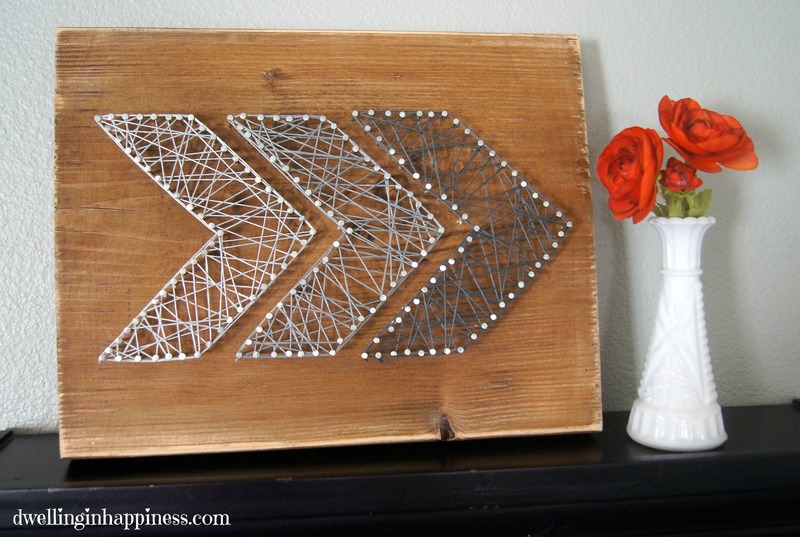 This rustic arrow string art is easy to make, and looks super cute hanging in a gallery wall! Haaaaappy Friday, friends! 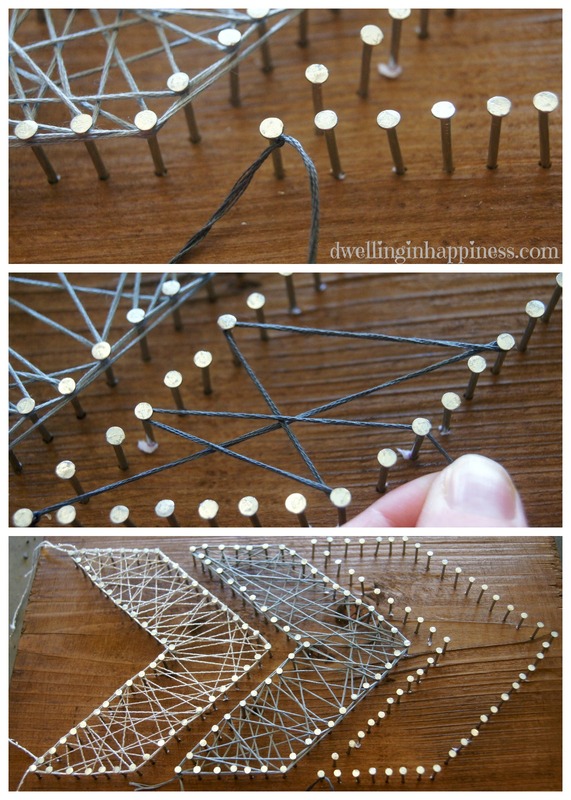 I’ve seen string art for awhile now all over Pinterest, and I’ve been loving it all. I thought about doing a state one for our gallery wall, but decided to do something a little different. Arrows seem to be all the rage lately, so I took a whack (Ha! Get it?!) at some arrow string art of my own! It’s really so easy, just a little time consuming. I was able to hammer (Come on, I’m on a roll!) this project out in a few hours, over a span of 2 of my daughter’s naps! Anyway, I sanded it down a little on the edges so they were smooth, and put a few coats on of some homemade wood stain I had leftover from another project (I made it by just soaking steel wool in vinegar for a few days). If you’re going for a specific color, I’d buy some stain. For this project, I thought it’d be fun to just play around and see how the color came out. 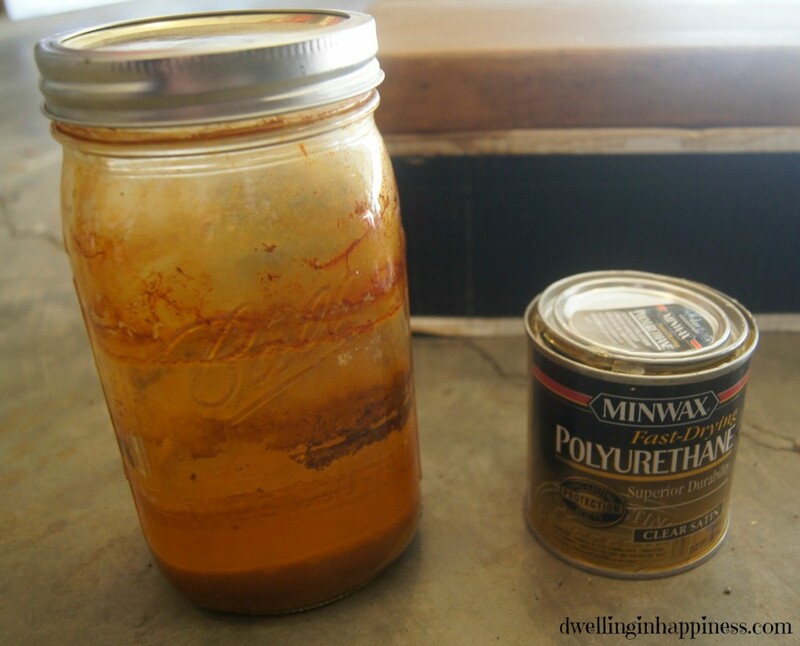 I gave it two or 3 stain coats, then painted on a clear polyurethane sealer. I was super pleased with how the color came out! While the clear sealer dried, I made and printed out some arrow shapes. Because my piece of wood was a random size, I had to print out 3 individual arrows and piece them together. I also wanted them to be big, and I couldn’t fit 3 large arrows on one 8.5×11 piece of paper. 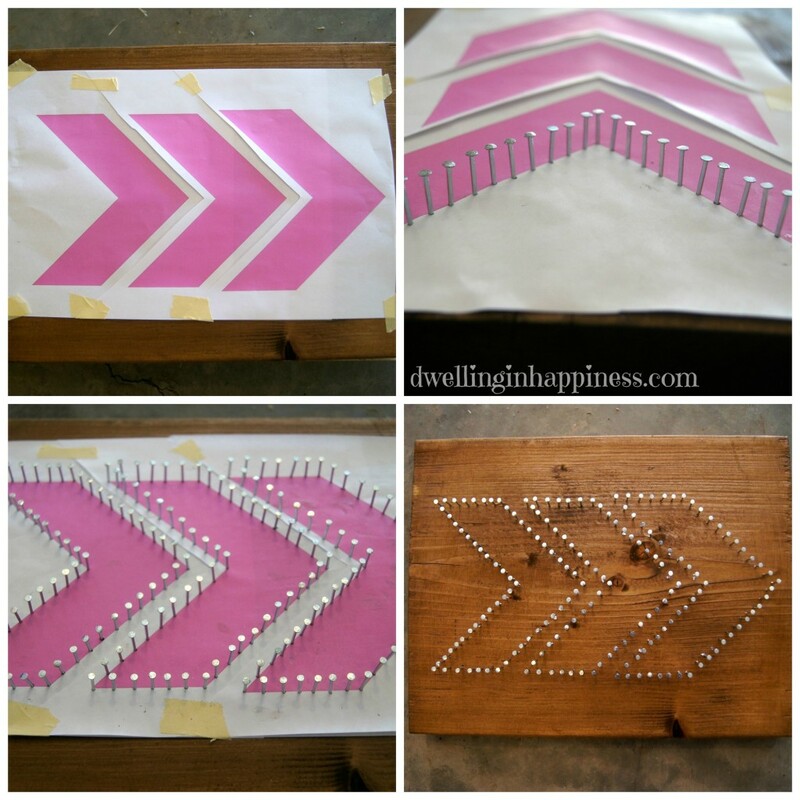 If you want to try making this arrow string art for yourself, I’ve provided the free arrow printout for you below. I’ve included both a 3 arrow pdf in case your wood is smaller, and also a large single arrow pdf if your wood is bigger like mine, in which case you’d print out 3 and piece them together. 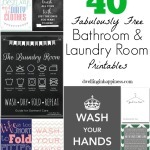 Click below to print! I printed out my arrows, cut, and taped them down according to how I’d like them (My printer was out of black ink, so mine printed out pink!). Then, I just started hammering away! I used wire nails #16 x 1 1/2in. I nailed them about half in inch together, maybe a little less. It took me a little over an hour to get all the nails in, AND, I didn’t even hit my thumb once! A win for me! After all the nails were in, I just ripped off the paper. That was a little hard, and unfortunately a few little pieces of paper got stuck under the nails. But, you can’t see them once the string is wrapped around the nails. For the string, I knew I wanted an ombre effect. So, I found three bunches of thin crochet string in coordinating colors. Joann’s made it easy, as the three colors were in consecutive order, so I didn’t have to go fishing for three similar colors to make the ombre work. Yay! I chose to do grays and keep it neutral. I started with a corner nail, and tied the string around it a couple times so it was secure. Then, I just sort of randomly weaved the string back and forth around the nails, making sure every nail had string around it at least once. Then I went around the perimeter of each arrow with the string, going around each nail. I tied it off at the same nail I started with and trimmed the string. This took another hour to finish all the stringing. 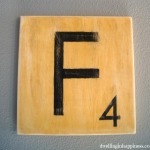 To finish my arrow art off, I sanded around the edges of the wood to make it look more worn and rustic. I am in LOVE with how it all came together!! Have you ever done string art? If so, what did you make? I LOVE, LOVE, LOVE this!!! SO pretty! 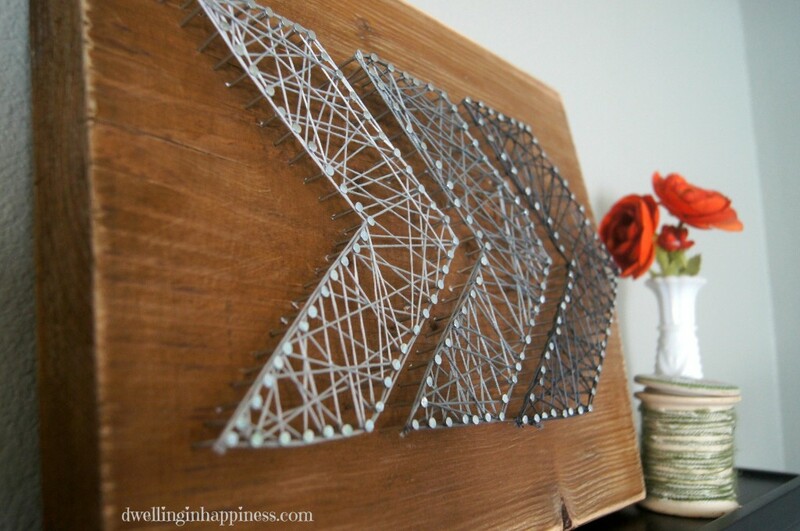 String art is definitely moving up the list of projects I MUST try! Kristi recently posted…All Things Fall Y’all Giveaway!!! Such a fun piece! Yay for string art! I would love for you to share this at my party Show Me Saturday Party! 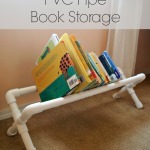 My readers would love this project! Thanks Ashley! 🙂 Have a great weekend! How neat is that! Love it! P.S. Thank you too for your lovely comments on my blog yesterday. =) I am now following you on Facebook! Ok now it’s my turn. I LOVE THIS! You took string art to another amazing level. I want to find a place for this in my house! This art is genius, Amanda! And I love the ombre effect! Makes it so much more interesting! Love love love! Thank you, Selene!! I agree, it definitely needed ombre or something to liven it up!! 🙂 Hope you’re having a great weekend! Thank you!! Ha, so true, no shopper likes hearing screaming babies! 🙂 Hope you’re having an awesome weekend, thank for visiting! Ok, this is going on the craft list, stat. My little office gallery wall is just-a-growing with crafts 🙂 I have a ton of extra yarn that needs to be used up to! Yay! Yes, that will totally use up some yarn! It’d look awesome in an office. I want to make more, too! 🙂 Happy Saturday! I pinned this because I LOVE it! 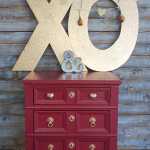 Such a cool statement piece that is fairly easy and cheap! I absolutely love this! I really think this is my favorite version of string art yet! I am pinning this to my DIY board that I am really determined to make everything on. Ha! Thank you, Megan!! I think it’s one of my favorites, too! Haha, I hear you, I have a few boards like that too… someday I’ll get to them all. 🙂 Hope you’re having an awesome weekend! This is so lovely! 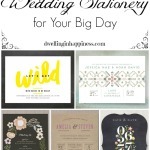 You did a fabulous job, thank you so much for linking to the Creative Collection Link Party! Pinning this right now. This fun crafty is awesome! I absolutely LOVE how creative this project is! Thank you for sharing! Thank you, Michelle!! String art is so fun, if you’ve never tried it, you totally should! 🙂 Hope you have a great week! oh my goodness, love this. This is on my list of things to make soon! Thank you, Havalah!! It was really pretty easy to make, too! 🙂 Have a great week! So cool!! I love this. Pinning!! colette recently posted…My Etsy Shop is Open for Business! This string art is gorgeous! Beautiful job! I recently did some string art too of a deer head (of course) lol and it was a little tedious, but so worth it. I really, really love the idea of the arrows that you did! And, the monochromatic look really goes great with it! Thanks Carrie! String art is so fun! I want to do them for every wall now. 🙂 I bet the deer head was so cool! Love this! It is so cute! I just might have to make one! Pinning! Thank you Tara! You definitely should make one, they’re so easy! Thanks for pinning. 🙂 Have a great rest of the week! Ohhh I love! This is so fun 🙂 Pinned! LOVE THIS! I’m tempted to make this exact thing for my living room. Pinning to our Show Me Saturday board. Love the arrows! Wanted to let you know that I am featuring it in my weekly roundup – That’s Freaking Cool Friday (tomorrow of course lol). I was browsing through all the other projects linked up at the Creative Spark party and I just HAD to come see your string art!! Wow!! Love it! Love this, Amanda! I want to try it too!! Love the arrow design! Thank you Kendra!! I’m loving arrows lately and thought they’d be fun to try for string art! You totally should try it! 🙂 Thanks for stopping by today! 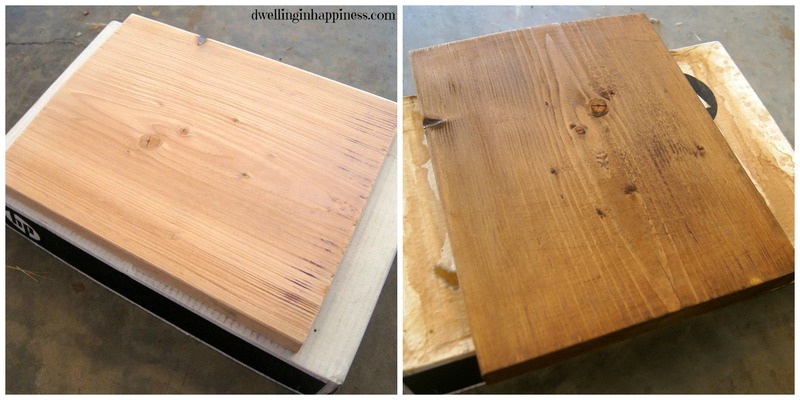 I love your blog and I LOVE this project! Pinned and going to the top of my to-do list! 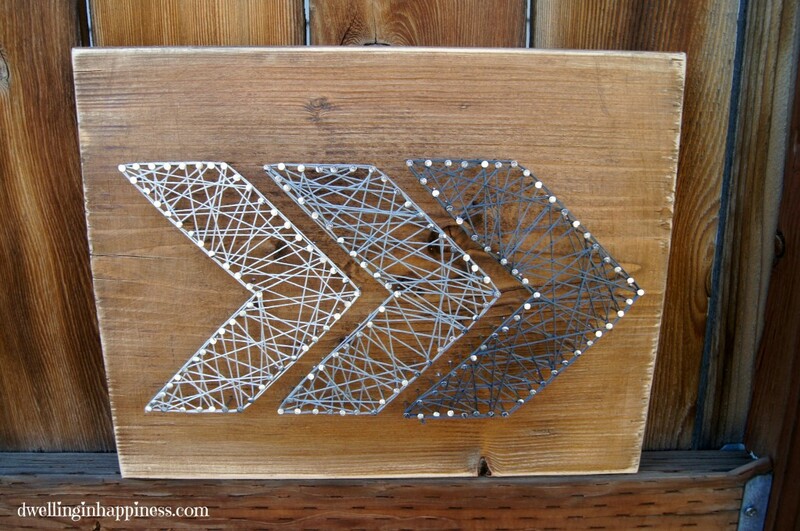 Forget Christmas projects, I want a string-art arrow, LOL! Thank you, Cindy!! You’re so sweet! Ha, that’s right, forget Christmas! Or maybe everyone is getting arrow string art, instead! 🙂 Have a fabulous weekend! This wall art is awesome. I would never have patientce to do such a thing. Thanks, Christine! I know, it was pretty time consuming, which is the only downside! But so worth it! 🙂 Thanks for visiting, hope you have a great weekend! So cool! We are featuring it Monday at YDTT! 🙂 Thanks for linking up! Just stopping by to let you know that you’ve been featured today at Show Me Saturday! This is so me! I love anything rustic, and arrows are my favorite. Thanks for sharing with Hump Day Happenings, I can’t wait to make this myself. Thanks Jenna! I’ve been loving arrows lately, too! This was the perfect arrow art to make. 🙂 Have a great week! 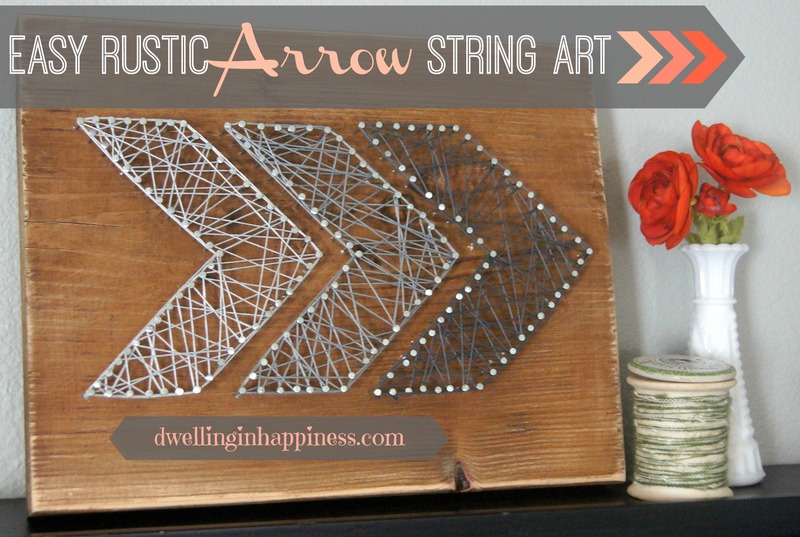 Amanda, your string art arrows are so cool! I wanted to let you know I’m featuring this project at Your Turn To Shine on Thursday. Hope you’re having a great week!! Thank you so much, Michelle! I hadn’t tried string art before until now, and I’m kind of addicted! 🙂 Thanks SO much for the feature as well!! I’ve already been by to link up again. 🙂 Have a great week! I love this idea! Great addition to the home. Thank you, Alexandra! I love how it looks in our gallery wall! 🙂 Thanks for stopping by! Amanda – I love you rustic arrow wall art! I’ve been wanting to try making one of these. What a beautiful job! 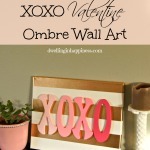 Thank yo for sharing at our Wall Art Hop Linkup! Thank you, Cat! String art is SO fun, and I’ve been wanting to make more since this one, too! 🙂 Hope you enjoy your weekend! Love this design!!! What size wood did you use?